Here are some papers which are online available. Thomas Eiter and Georg Gottlob. Fundamenta Informaticae , 17(1,2):31--53, 1992. (.pdf). Technical Report CD-TR 92/38, Christian Doppler Laboratory for Expert Systems, TU Vienna, Austria, 1992. Technical Report CD-TR 94/71, Christian Doppler Laboratory for Expert Systems, TU Vienna, Austria, 1994. The European Journal on Artificial Intelligence (AI Communications),12(1-2):99--111, 1997 © IOS Press. (.ps.gz). Technical Report CD-TR 94/60, Christian Doppler Laboratory for Expert Systems, TU Vienna, Austria, 1994. Appeared revised in: Journal of Logic and Computation, 7(6):805-824, 1997. (.ps.gz), (.pdf). Discrete Applied Mathematics, 96/97:55-88, 1999. Preprint (.ps.gz), (.pdf). Selected for the special volume Discrete Applied Mathematics, Editors' Choice, Edition 1999. Longer Technical Report (containing all proofs). 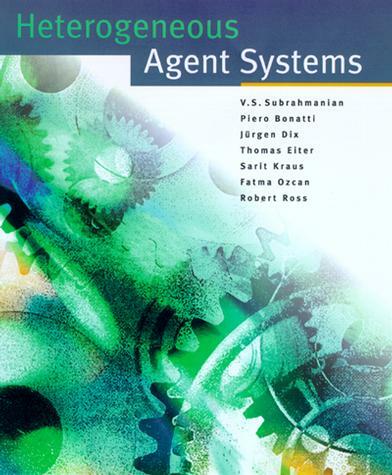 In: Logic-Based Artificial Intelligence, J. Minker (editor), © Kluwer Academic Publishers, 2000. Preprint. (.ps.gz) Appeared in: Intelligent Techniques for Planning, Ioannis Vlahavas and Dimitris Vrakas (eds), pp. 1--34. Idea Group, Inc., 2005. Corresponding Preliminary Technical Report . Full paper: SIAM Journal on Computing, 32(2):514-537, 2003. (.ps.gz) (Preprint). Proceedings 8th European Conference on Logics in Artificial Intelligence (JELIA 2002), LNCS/LNAI 2424, pages 186--197. © Springer, 2002. (.ps.gz), (.pdf). In: Logics for Emerging Applications of Databases, Jan Chomicki, Gunther Saake, and Ron van der Meyden, editors, chapter 3, pages 85-129. © Springer, 2003. Proceedings 26th German Conference on Artificial Intelligence (KI 2003). September 15 - 18, University of Hamburg, Germany, LNCS/LNAI 2821, pages 646--660. © Springer, 2003. (.ps.gz), (.pdf). Proceedings 14th International Conference on Automated Planning and Scheduling (ICAPS 2004), Whistler, British Columbia, Canada, June 3-7, 2004. Thomas Eiter, Michael Fink, and Hans Tompits Theory and Practice of Logic Programming, to appear. Thomas Eiter and Gabriele Kern-Isberner KI -- Künstliche Intelligenz, to appear. Please report errors to webmaster@kr.tuwien.ac.at.